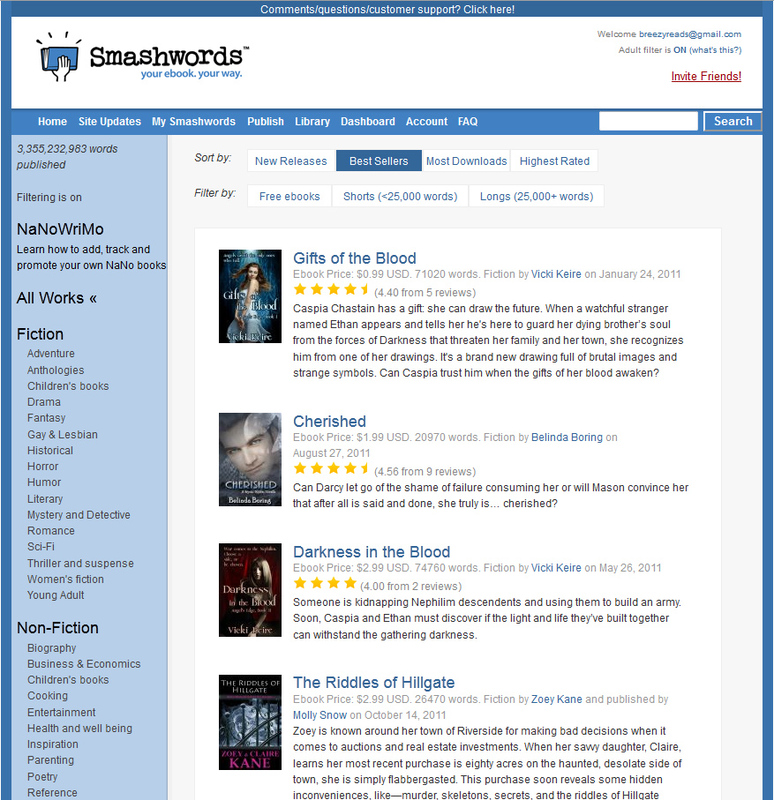 Smashwords.com is a major ebook distributor, making ebooks available to online book retailers, such as Amazon.com and BarnesandNoble.com. Customers can download an ebook to any ereader format or platform, such as Kindle, Nook, Ipads and Andriods. 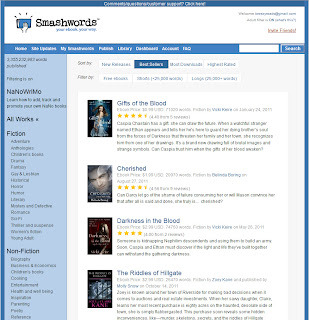 In March, Smashwords announced they had distributed their 40,000th uploaded ebook from independent authors and publishers. We are pleased to announce that The Riddles of Hillgate made it to the Top Ten Bestsellers, out of ALL ebooks available on Smashwords.com. The Riddles of Hillgate stars a mother-daughter duo who are caught up in a series of riddles and mysteries surrounding Hillgate Manor. Fan, Carrie Robinson, exclaimed on Breezy Reads' Facebook fan page, "Read The Riddles of Hillgate' and loved it! Can't wait till the next book comes out!" Thank you to all who have downloaded The Riddles of Hillgate. Please spread the word, because we want to keep producing more Zoey and Claire Mysteries for your entertainment. Any support and reviews are appreciated. Remember you can login to Smashwords to add your review, which can be as simple as exclaiming why you liked the book, and give a star rating. If you downloaded it from another website, like Amazon, you can add your excitement under the reviews button there. It's exciting to see something like that. We look forward to the future of The Zoey and Claire Mystery Series!